The PowerShot G1X is the flagship camera for the 2012 Canon PowerShot lineup. Launched earlier this year, the Canon PowerShot G1X house a big 1.5 inch-sized (diagonal) 14 megapixel CMOS image sensor, a first for a Canon compact fixed lens camera. The new image sensor is much larger than those found on typical compact cameras (and 6 times larger than the one on the old PowerShot G12, to be exact) and slightly larger than the Micro Four Thirds image sensor found on Panasonic and Olympus interchangeable lens cameras. It’s also close to the size of sensors used in digital SLR cameras. What’s all of that mean for folks looking to get this camera? Essentially, you’re going to get “big camera” image quality in a compact digital camera, which is the Canon PowerShot G1X. The Canon PowerShot G1X sports both full manual controls (lots of controls, including RAW image mode) for photography enthusiasts and an array of scene modes and automatic shooting features for beginners. It also has a high-resolution 3 inch LCD that’s flexible for angled shots, an optical viewfinder, two control dials, a hotshoe for external flashes and Full HD movie mode. Read on to find out if this is the ultimate all-in-one camera for you. The Canon PowerShot G1X supports SD, SDHC and SDXC memory cards. The camera can perform faster with a high-speed memory card, and a good starting capacity depends on what you plan to do with the camera. If you plan on shooting a lot of RAW images and movies, a 16 GB or 32 GB memory card would be a good place to start but if you plan on shooting mostly still photos in JPEG, an 8 GB SDHC card will be quite sufficient. Either way, make it a high-speed memory card so the camera can perform better and write files more quickly to the card. The Canon PowerShot G1X uses the lithium-ion rechargeable battery, which looks similar but is NOT the same kind used in Canon’s entry-level EOS Rebel models such as the Rebel T3i, Rebel T3 and Rebel T5i. The camera doesn’t do very well in terms of battery life with a rating of 250 shots per charge using the LCD live view mode (that’s down from the 370 shot rating on the old PowerShot G12, and lower compared to 350 shots on the competing Nikon Coolpix P7100; though neither of these cameras have image sensors as large as the one on the G1X). Switch live view off and go for the optical viewfinder, and battery life on the PowerShot G1X increases to a much better 700 photos per charge. The Canon PowerShot G1X supports a wide range of accessories, as you would expect from a high-end prosumer camera, except conversion lenses. I suspect we may see Canon launch some lens accessories or third party conversion lenses and adapters might eventually pop out in the market for the PowerShot G1X but they will be rare even if that happens. For now, the ring around the lens is removable for the sole use of attaching an adapter to mount an optional pair of macro lights to the PowerShot G1X. There’s an optional lens hood which protects the lens from flare and filter adapter which lets you attach 58 mm filters to the camera. There is also a cabled remote control so you can take photos from afar, though the cable is just 2 feet long. The Canon PowerShot G1X also supports external flash units, whose appeal lies in increasing flash range, reducing chances of redeye, allowing you to use high-speed sync shutter speeds, create a wireless flash setup and in the case of Canon’s 320EX Speedlite, there’s a video lamp on that flash which comes in handy when recording movies in low-light. The Canon PowerShot G1X supports both Canon and third party flashes, though only Canon models will work automatically with the camera without requiring prior manual adjustment. Canon’s flash models include the super basic 270EX II, wireless slave supporting 320EX and 430EX II and 580EX II. You will need a master controller to control and fire flashes in a wireless setup, which only Canon’s dedicated Speedlite Transmitter and 580EX II flash support. Other accessories available for the PowerShot G1X include a waterproof case for taking the camera down to 40 meters (130 feet) underwater, AC adapter, HDMI cable, A/V cable for older televisions without HDMI and various camera cases. The Canon PowerShot G1X is not a really small camera. The G1X fits somewhere in between the size of a compact super-zoom camera and entry-level digital SLR models like the Canon EOS Rebel T3 or Nikon D3100. The camera measures 116.7 x 80.5 x 64.7 mm (4.6 x 3.2 x 2.6 inches) and weighs a slightly hefty 534 g (19 ounces) loaded with its battery, which means you won’t be able to fit it in your pants pocket but it will go into backpacks, camera bags and large purses with ease. The Canon PowerShot G1X has excellent build quality with a nice and chunky feel, since the camera is made mostly of metal. Moving parts like the popup flash, lens barrel and bottom compartment door feel sturdy. The camera has good ergonomics with a raised front grip, dedicated controls for various shooting functions and a sizeable lens barrel for steadying the camera with your left hand. One thing that I did not like was how the exposure compensation dial is easily turned when pulling the camera out of your bag, so be sure to check frequently that it didn’t get changed by accident. The PowerShot G1X sports a 4X optical zoom lens which covers a relatively short range of 28 – 112 mm. The lens has an aperture range of f2.8 to f5.8 and has optical image stabilization to help reduce the chances of taking blurry photos. For a camera with such a large sensor, the Canon G1X’s lens is very competitive compared to kit lenses on large sensor cameras and digital SLR models; such kit lenses are typically larger in physical size, cover only a standard 28 – 88 mm and have aperture ranges of f3.5 – f5.6. The Canon G1X has a new Intelligent IS system where the camera can detect and choose (you can’t select it manually) the most effective image stabilization mode. You can, however, switch between Shoot Only and Continuous image stabilization which dictates when the system kicks in to stabilize photos. There are a couple of things surrounding the lens: an autofocus assist/self-timer countdown light, optical viewfinder window and to the lower right of the lens, a button to release and remove the ring around the lens to attach optional macro lights. The Canon PowerShot G1X has a manual popup flash which comes up when you pull the switch on the top of the camera and closed by manually pressing down on it with your finger. This is a good thing since the flash never comes up unless you specifically want to use it. The flash on the Canon G1X is quite powerful with a range of 50 cm to 7 m (1.6 to 23 feet) at wide-angle and 1 to 3 meters (3.3 to 10 feet) at telephoto. Towards the grip of the Canon PowerShot G1X is the command dial which is used for adjusting exposure settings on the camera. You’ll be using this in conjunction with the scroll wheel on the back of the camera; making adjustment of settings a breeze on the Canon G1X. One of the signature features of the PowerShot G series cameras is the flexible flip-out and rotate LCD, which the Canon G1X inherits from its predecessors. The LCD on the PowerShot G1X measures 3 inches in size and has a high resolution of 922,000 dots. You can flip out the LCD and rotate it up/down for creatively angled photos such as over-head shots or hip-level photography. You can also rotate the screen to face yourself for self-portraits. The display on the PowerShot G1X has good outdoor visibility and excellent low-light visibility. The LCD can be folded inwards towards the camera to protect it when not in use. This position is also useful when you don’t want to fill the screen with nose smudges when using the viewfinder. Alternatively, the LCD can be placed in a more conventional position. If you prefer switching off live view to conserve battery life, the Canon PowerShot G1X has an optical viewfinder above the LCD. Quite obviously, the viewfinder has its own viewing tunnel and isn’t linked to lens itself so it isn’t as accurate or big as the ones found on digital SLR cameras. The viewfinder also shows a mere 75% of the frame and you’ll be able to see the lens barrel for most part of the zoom range (it doesn’t hinder photo composition but it will surely annoy some folks). Flanking the viewfinder on the Canon G1X are two status indicator lights (for focus lock, power status and flash status) and an eyesight correction knob used by glasses wearers for focusing the viewfinder image. There are also two buttons, one on each side of the viewfinder, which are the shortcut/print marking button and playback button. You can assign the shortcut button to just about any shooting function or menu option on the G1X. On the upper right corner of the camera, there’s a dedicated movie start/stop button for activating the video recording feature anytime. There is a cluster of four buttons surrounding the navigation pad on the Canon G1X: the top two are for focus point selection (delete photo in playback) and focus + exposure lock (jump between photos in playback) respectively, while the buttons on the bottom are for adjusting metering mode and bringing up the camera menu. The Canon PowerShot G1X shows everything you can ever dream of on its live view display. Exposure settings, shooting information, live histogram, zoom and battery indicators and even a visual shutter speed/aperture scale (they appear when adjusting those settings) are all present. The Canon G1X also adds a nice touch with a digital level indicator for tilt, which tells how you need to hold the camera to prevent taking a crooked picture. The Canon PowerShot G1X has the ‘traditional’ Canon function menu which is less flashy than the ones found on cheaper PowerShot, IXUS and ELPH modes, but a lot more functional since adjusting functions require 1 less button press. The Function menu contains a sizeable list of functions which encompass: Dynamic range correction, white balance, My Colors (adjust contrast, sharpness and saturation; or choose from several presets), focus and exposure bracketing, continuous shooting and self-timer modes, flash exposure compensation and image size/aspect ratio/compression. The Canon PowerShot G1X has several notable settings which I will highlight below. The first feature is white balance settings. There are several white balance presets along with the ability to store two custom white balance settings. White balance shift (shown in the screenshot above) is also available for adjusting color balance on two axes: amber-blue and green-magenta. You can toggle a built-in 3-stop ND filter inside the lens which reduces the amount of light that enters the lens. This comes in handy when you need a slower shutter speed (commonly for fireworks and blurring the motion of flowing water) or when using a large aperture in bright light for more background blur. There’s also dynamic range adjustment where the Canon G1X can improve shadow and highlight detail by preventing them from getting too dark/bright. The feature works (there’s even adjustable levels of shadow correction) and I would definitely recommend it over that HDR scene mode I’ll mention in a bit. The slight compromise is that it takes slightly longer to process photos after taking them, so be prepared with a fast memory card. The Canon PowerShot G1X also has RAW image mode, which no prosumer camera would be complete without. Taking RAW image allows you to taking pictures and process them later on in your computer, allowing you extra freedom and flexibility to adjust various camera settings. The negatives to shooting in RAW include the large file sizes and time it takes to process photos (something not everyone is willing or knows how to do). Canon does include their very capable and user-friendly Digital Photo Professional software with the PowerShot G1X, which can certainly help first-timers process their pictures and RAW files. You can check out some RAW sample files in the Canon PowerShot G1X photo gallery. The Canon PowerShot G1X has more options in its shooting main menu, including Servo AF (for tracking moving subjects), continuous AF (for reducing lag time before a picture is taken), ISO auto configuration (setting a limit for ISO auto and how fast it will be boosted), wind filter, image stabilizer settings, high ISO noise reduction (low, standard or high but cannot be disabled) and setting dial and shortcut button functions. Like Canon’s more advanced PowerShot models (such as the G1X’s distant cousin, the PowerShot S100) and EOS digital SLR cameras, the PowerShot G1X has a My Menu section which allows you to customize a list of 5 frequently accessed shooting functions. The Canon PowerShot G1X has an unimpressive closeup mode, which is likely due to the limits of a lens that covers a large image sensor (which is why there are dedicated macro lenses for digital SLR and compact system cameras). In ‘normal’ focusing mode, you can go as close as 40 cm (1.3 feet) at wide-angle and 1.3 meters (4.3 feet) at telephoto… activating the macro mode on the PowerShot G1X reduces minimum focusing distance to 20 cm (8 inches) at wide-angle and 85 cm (2.8 feet) at maximum zoom, which is barely as close as on a compact camera. There are a few more items to see on the top of the Canon PowerShot G1X. To the left is the popup flash along with the switch for raising it, followed by the flash hotshoe. The camera has a maximum sync speed of 1/250 second, although that can be bypassed with the high-speed sync option (only with an external flash). As mentioned, an external flash comes with many perks: more flash power, flexible direction/flash bounce lighting, LED light for video recording (Canon 320EX flash only) and the ability to create a wireless flash setup (though a 580EX or Speedlite Transmitter must be mounted to the Canon G1X itself for that to happen). Up next are two dials stacked on each other. The bottom dial is for exposure compensation (+/- 3EV in 1/3 increments) and as mentioned, it’s a little loose for my liking and got bumped to a different setting in several occasions when pulling the Canon G1X out of the camera bag. The top dial is the mode dial and it definitely shows the Canon PowerShot G1X being positioned as a prosumer camera, hosting your standard program, manual and aperture/shutter priority modes, movie mode and two custom spots for saving settings to. The Canon PowerShot G1X has an actual aperture diaphragm which allows you to select an aperture between f2.8/f5.8 to f16 in 1/3 stops just like you can on a real digital SLR; shutter speed range is 1/4000 to 60 seconds, though there is no bulb mode on the Canon G1X. The Canon G1X also has a stitch assist mode for creating panoramas; however this isn’t the fancy automatic panorama stitching modes you’ve seen on many modern cameras. The stitch assist mode helps you align photos but you’ll have to manually stitch photos later on your computer. The Canon PowerShot G1X has a Creative Filters mode which contains essentially the same photo effects we saw starting with 2011 Canon cameras, and we’ve covered details about the effects in this comprehensive article, with the addition of an additional mode: in-camera HDR. Unlike the previously mentioned dynamic range setting (where the camera takes one photo and adjusts contrast), HDR takes three separate photos in a row and combines them into one photo for better dynamic range. Unfortunately, the camera doesn’t auto-align images so the Canon G1X has to be on a completely solid surface or tripod, or photos will turn out blurry when the 3 images are slightly offset from one another. I would recommend skipping the trouble of HDR mode and taking 3 photos with different exposures using the camera’s bracketing function (and combining them manually on software like Photoshop, which does auto-align) or simply using the dynamic range setting in the Function menu. If you look closely, there are also two very discretely placed microphone holes. Towards the right side, there’s the power button and shutter button with zoom controller wrapped around it. One side of the Canon PowerShot G1X sports holes for the speakers while on the other side, there are two ports hidden under a flexible cover. There’s a combo port for the bundled USB cable and optional A/V Out cable, and another port for HDMI connectivity to your television or monitor. There are strap loops on both sides of the Canon PowerShot G1X to attach the bundled neck strap. You can see the battery/memory card compartment at the bottom of the Canon PowerShot G1X. The door over the compartment is extremely solid and sturdy. There’s also a metal tripod mount at the bottom of the camera, which is obstructed in this photo by the open compartment door. The Canon PowerShot G1X has a Full HD movie mode which allows you to record 1080p quality movies with stereo sound. Unlike Canon EOS digital SLR models, the Canon PowerShot G1X has fixed frame rates linked to each setting. That means Full HD movies can only be recorded at 24 FPS, which some folks may find unsmooth… if you want a more fluid 30 frames per second, you will have to reduce movie size to Standard HD. Check out this summary of the three movie size options available on the PowerShot G1X. Movies can be recorded up to 4 GB or 30 minutes per video file, whichever comes first. At Full HD, you’ll hit the 4 GB limit in 14 minutes while at Standard HD, a 4 GB movie file is equivalent to about 20 minutes. The Canon PowerShot G1X lets you use optical zoom while recording movies and also allows you to enable optical image stabilization, wind filter and continuous autofocus; though continuous autofocus is a little sluggish so it takes a while for your video to transition from blurry to sharp (see the squirrel video below). Two omissions on the PowerShot G1X are no high-speed/slow-motion video options (Available on other Canon PowerShot models) and inability to use manual controls while recording movies (available on Canon EOS digital SLR cameras). Here are two sample videos from the Canon PowerShot G1X, which you may have seen if you read our Canon PowerShot G1X vs Canon EOS 7D comparison article. Performance testing of the Canon PowerShot G1X was done using a high-speed 45 MB/s Sandisk Extreme Pro SDHC card. The Canon PowerShot G1X has an unremarkable continuous shooting mode. You can choose between standard, fixed focus or continuous autofocus; the latter makes the camera refocus in between each photo. With fixed focus continuous mode, you can shoot as quickly as 1.5 frames per second (JPEG photos), or just 1.0 FPS if shooting in RAW. If use continuous AF shooting mode, then it doesn’t matter if you shoot in JPEG or RAW; frame rate drops to a sluggish 0.5 FPS (or 1 photo every 2 seconds). You can also take RAW and JPEG photos simultaneously. Quite surprisingly for Canon’s flagship PowerShot G1X, the Canon G1X delivers performance that is just average and sometimes borderline underwhelming. One particularly weak spot is in terms of autofocus speed which is below average and there’s sometimes noticeable focus hunting; it’s much better than live view focusing on digital SLR cameras for sure, but slower than on regular compact cameras and other Canon PowerShot models. The camera will suffice for casual, everyday shooting but it’s not a good candidate for sports or action shooting. 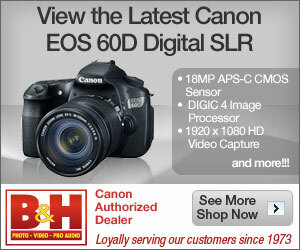 If you haven’t seen our Canon PowerShot G1X vs Canon EOS 7D comparison yet, then you really should. The Canon PowerShot G1X, despite being a compact camera, delivers image quality that rivals that of bigger digital SLR and compact system cameras. From ISO 100 to 400, photos are sharp, clean and very detailed. There is very little visible noise when using those settings, and an extremely slight increase when ISO is increased to 800. There is only a slight amount of noise visible in ISO 1600 and ISO 3200 photos. Photos are still incredibly clean and usable for very large prints and display at this point. Going up to ISO 6400, there is a little bit of noise and slight reduction in detail from camera processing, but image quality is still very good and usable for medium sized prints or display. Photos at ISO 12800 are noisy but still a lot better on the Canon G1X than even ISO 400 on some compact cameras these days. Photos taken at that setting can easily be cleaned up in computer software and used for small to medium prints. If you want the best image sharpness and noise characteristics on the Canon PowerShot G1X, you should shoot in RAW since the camera doesn’t allow you to disable high ISO noise reduction in regular JPEG mode. Detail levels can also improve if you did your own computer processing as opposed to the Canon G1X’s default algorithms. The Canon PowerShot G1X has a very slight amount of lens distortion that shouldn’t be an issue to photographers. There is excellent edge sharpness which is both above average for a compact camera and exceeds that of kit lenses on digital SLR and compact system cameras. Chromatic aberration (color fringing) is practically non-existent on the camera which is good. Overall, the Canon PowerShot G1X does very impressively in terms of image quality. It rivals or beats digital SLR and other big sensor cameras in almost every area except details at an extremely fine level. Even then, you can shoot in RAW and process images manually to extract the tiniest of details from images. Visit the Canon PowerShot G1X photo gallery to see full-sized photos (including RAW images) from the camera. The Canon PowerShot G1X has a decent playback mode with a good handful of options. The camera has basic options such as image resize, cropping, protection and print marking along with slideshow mode and Smart Shuffle which shows you four ‘similar’ (but in fact rather random) photos to the one you’re viewing. The camera allows you to adjust brightness and contrast (iContrast), digitally remove redeye, edit photo My Colors characteristics and sort photos by category. The Canon PowerShot G1X shows you everything you need to know about your photos, including shooting and exposure information, a brightness histogram and RGB histograms. The Canon PowerShot G1X is an excellent prosumer digital camera with an unusually large image sensor. As a result, and as you may have seen in our Canon PowerShot G1X vs Canon EOS 7D comparison, the Canon PowerShot G1X delivers ‘big camera’ image quality that rivals digital SLR cameras within a body design that’s fairly compact and lightweight. Even compared to tiny compact system cameras like the Sony NEX 5N and Panasonic Lumix GF5 which compare favorably to its size, the PowerShot G1X wins out by not having a big kit lens that protrudes quite a bit from its front like those cameras (though the Lumix GF5 with its compact Power Zoom 14-45 mm kit lens might change things). The Canon PowerShot G1X has plenty of features for both photography enthusiasts and beginners. It has excellent build quality, an LCD that flips out and rotates, plenty of buttons to quickly access shooting functions, along with a customizable button, part of the menu and 2 custom mode dial spots. There are also handy scene modes, Creative Filters and an automatic mode where all you have to do is locate the shutter button and press it to take pictures. RAW image mode is included with the Canon PowerShot G1X and they have included some pretty good software with the camera too; Canon’s Digital Photo Professional is intuitive and can be used to convert RAW images into JPEG photos. The camera also has a HDR mode (which isn’t too useful unless photos are taken on a tripod or completely steady surface), dynamic range boost option, built-in ND filter and electronic level to help you take straight pictures. However, the Canon G1X lacks an automatic panorama mode and has a lackluster macro mode with long minimum focusing distances (means you can’t get very close to your subjects). One of the main gripes I have with the Canon PowerShot G1X is in terms of performance. The camera has a high-speed burst mode hidden under the scene modes section which takes several photos at a quick 4.5 FPS, but other than that, performance is rather average and sometimes underwhelming. The Canon G1X is particularly weak at autofocus speeds, where even most compact cameras beat it, and it also has a sluggish continuous shooting mode. This makes the Canon G1X more suited to still life and casual pictures (such as weddings and events)… it’s not something you’d want to bring out for action shots or sports photos. The Canon PowerShot G1X does excel at image quality, and that’s actually its strongest point against other cameras, compact and SLR alike. The Canon G1X delivers great and sharp looking images with extremely low noise levels, that don’t become an issue till ISO 6400 and 12800 (And even then, those photos are usable, especially with a little cleaning up). You can also get better sharpness and detail levels out of the Canon G1X by shooting in RAW. The Canon PowerShot G1X is a very capable and unique digital camera that gets a definite thumbs up from me. The Canon G1X is pretty much the best candidate if you’re looking for excellent image quality in a compact camera that you can sling across your shoulder and bring everywhere, without having to buy into an interchangeable lens camera system and stocking up on a bag full of camera lenses. John, the ISO samples are in correct order. The charts are meant to have a light texture to reflect detail levels, you can see the texture goes away at higher ISO settings. Noise from modern cameras tend to appear as a light haze-like fuzz over the charts (ie at ISO 12800). Sems to me that Canon have found a real niche here … and I expect the G2X to be even better … crucially for the DSLR user for lightweight alternative … Needs good clean images way up the ISO range and does not want another whole system….